CITY of Mandurah councillor Tahlia Jones has been presented with an Industry and Exemplary Community Service Award. 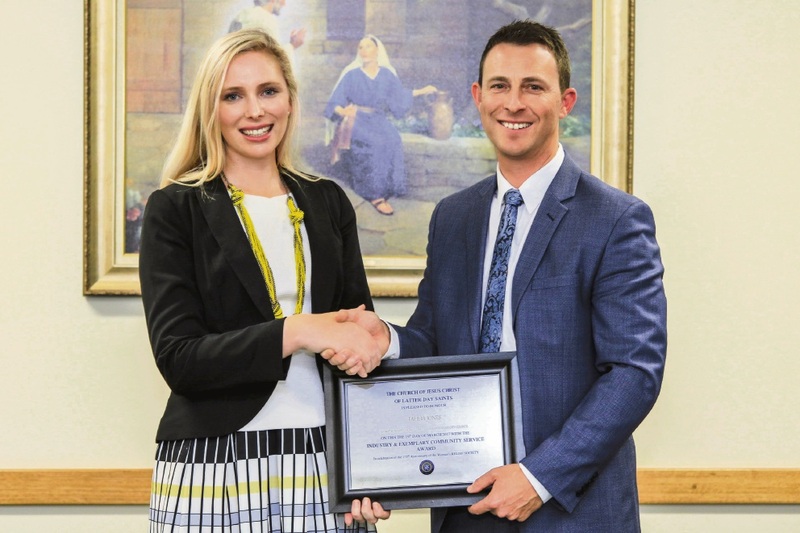 She received the award at the Mandurah chapel of the Church of Jesus Christ of Latter-day Saints, in commemoration of the 175th anniversary of the Church’s Relief Society. The Women’s Relief Society is the world’s biggest women’s organisation with a membership of more than seven million. The Coastal Ward councillor has been involved in voluntary work from a young age. She said the City was happy to work with organisations such as the Relief Society and the church.